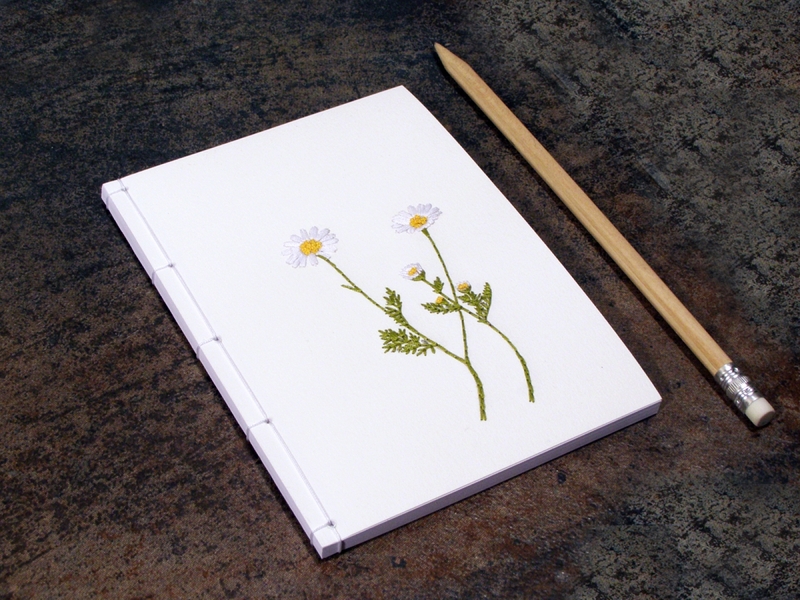 Chamomiles. 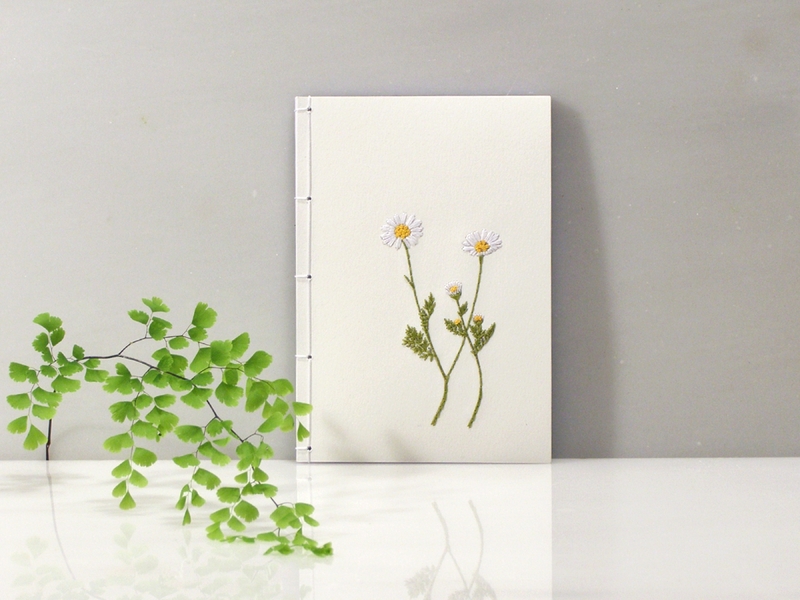 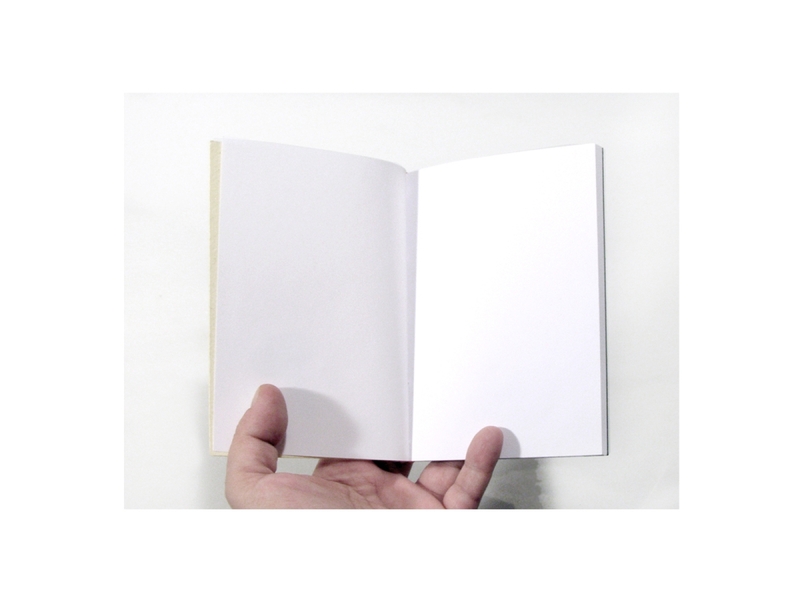 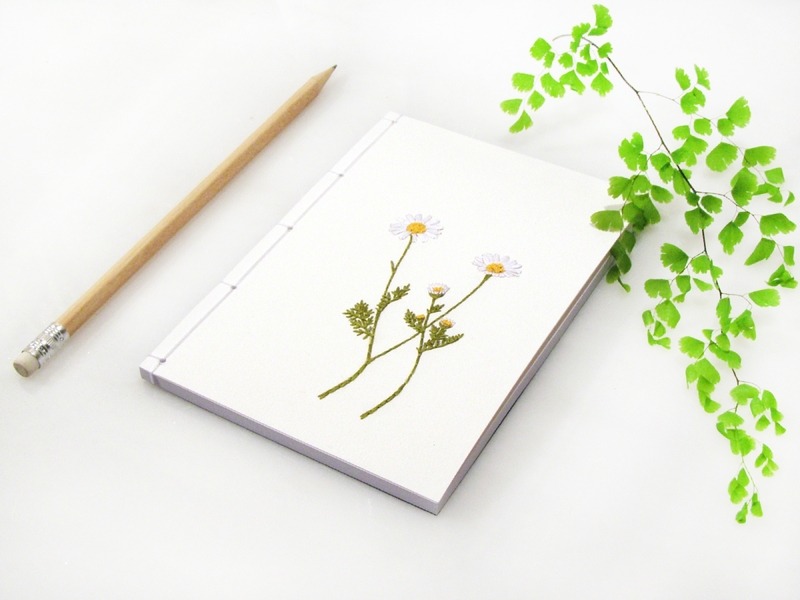 Cute Embroidered A6 Notebook. 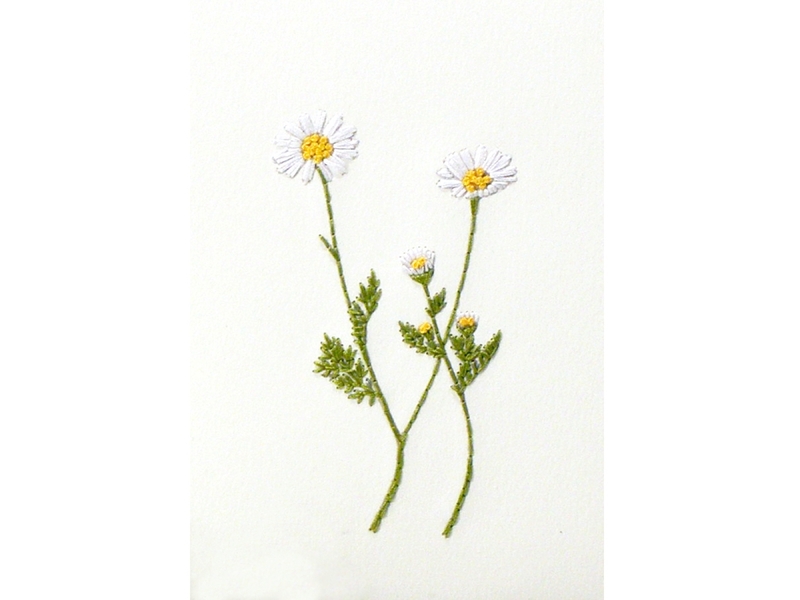 Front cover of an off- white card stock, hand embroidered with Chamomiles in white, yellow and green cotton threads.